Today, hardly a handful of people like to wash clothes with their hands. Leaving a few bachelors most prefers washing machines. Due to technological advancement new trades and trends are added up each day to ease our life style. Machinery like washing machine helps mostly the women folk. You can save more time and energy if you own a good washing machine. Even if you have one, the question is does it fulfill all your needs or doubles your work? Think twice before purchasing one? Consider issues like short term or long term, number of members, power consumption and most importantly your budget. We have come up with the list and details of the top five washing machine brands in India for your family to choose from. LG is all set with the latest technology, smart colors and trendy design in washing machines. Its basic product includes front loading washing machines, top loading washing machines, washer dryers, semi automatic washing machines etc. LG F8068NDP tops the list of the best washing machines in India. It does not cost much and consist of Inverter Direct Drive Technology, Wrinkle Prevention, Pre wash, Intensive Wash, Hand Wash, Medic Rinse, Hygienic Wash, Timers and Digital Display. LG also provides a 2 year warranty in this product. 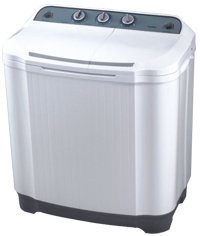 Videocon is an automatic top loading washing machine with direct driving technology. It is known to be India’s first tilt drum washing machine. 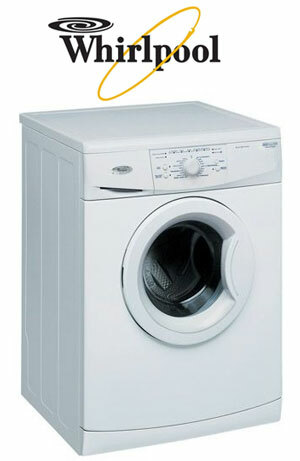 It consists of front loading, semi automatic and top loading washing machines. Videocon K 5001 FL holds the fifth position in the list of top washing machines in India. Its washing capacity is 5 Kg of clothes at a time. It consists of fuzzy logic, 8 wash program, variable spin selection, quick wash, and drain pump, toughened glass door with chrome ring, memory backup, delay start, rinse hold, digital display, child lock and digital display. 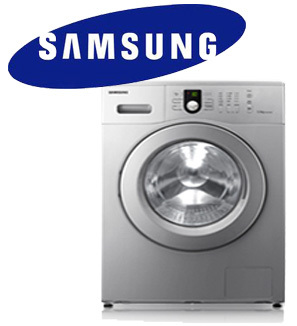 Samsung includes front loading, top loading variety models and semi automatic washing machines. Samsung WF865 holds the third position in the Indian market. WF8652NFV is a front loading washing machine .The heart of the machine consists of a drum that has very small holes to make sure that no clothes peep out of it while washing. Whirlpool washing machine is widely known as the 1-2-1-2 model supported with built in heater and 6th sense benefits. It is either semi automatic or fully automatic (top load) or fully automatic 360 degree machines or fully automatic (front load). Whirlpool Sensation Elite positions itself in the 4th place in the washing machine category. 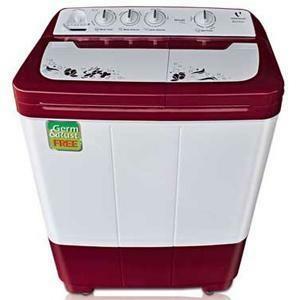 It is a fully automatic washing machine with tumble wash and includes around 100 preset programs. The machine can support Pre wash (soak), heavy wash, normal wash, delicate wash, quick wash and hot water wash. It also includes features like wash load sensor, automatic drainage, auto restart and child locks. Whirlpool Sensation Elite is a compact washing machine. It normally generates with the power supply of 230 V single phase. IFB (India Fine Blanks) uses German related technology and includes features like Aqua Energie. It makes clothes softer and the detergent works well with the clothes. It also consumes less water, electricity and washing powders. It generates lesser amount of noise when it works. Its smart sensors can recognize imbalance created during spinning. It also consists of shower and water jets. 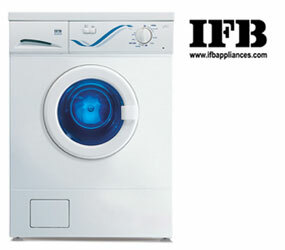 IFB-DIGITAL EX is positioned second among the top 5 washing machine brands in India.